Tired of having your chairs scrape up your floors? Aggravated that the felt stoppers you put on keep peeling off? Don’t like the look of rubber stoppers? 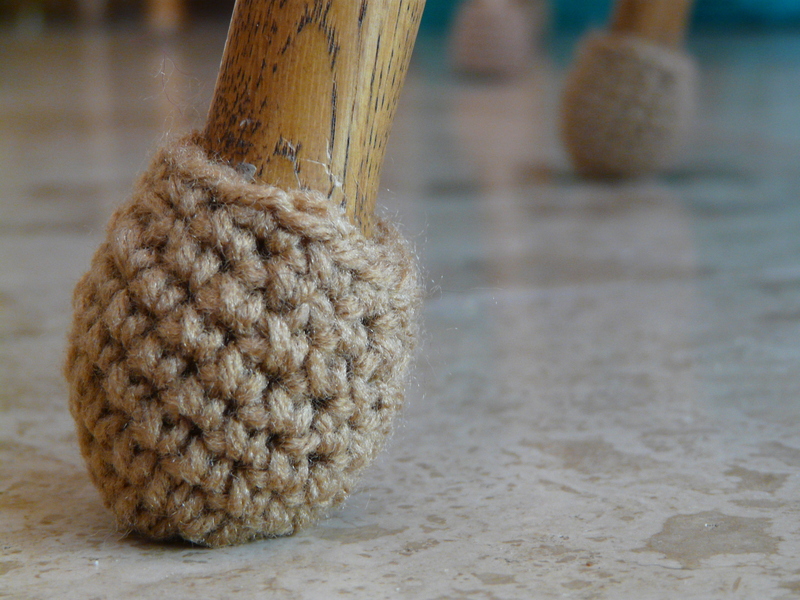 Not to worry, Crochet Bug has just the thing – a simple, easy fix to making sure your floor remains scratch free – chair leg socks. You can match the color of the chair, you can try out bright or pastel colors, or you can switch up the colors to reflect specific holidays. The pattern calls for the following: a 3.75mm crochet hook, Red Heart Super Saver yarn (in whatever color or colors you choose), a yarn needle, scissors, and a removable stitch marker. You will also need to make sure that you are crocheting the correct gauge. The pattern notes that if you crochet loosely, you should be fine using the 3.75mm crochet hook, but if you crochet a tight stitch, you might need to try going up a size or two in order to make sure the socks are the right fit for your chairs. Chair socks are crocheted in continuous rounds but instead of joining them every round you’ll be using the stitch marker to keep track of where the rounds end. The pattern is simple enough, using just the following stitches: single crochet (sc), single crochet two stitches together (sc2tog), slip stitch (sl st), and chain (ch). 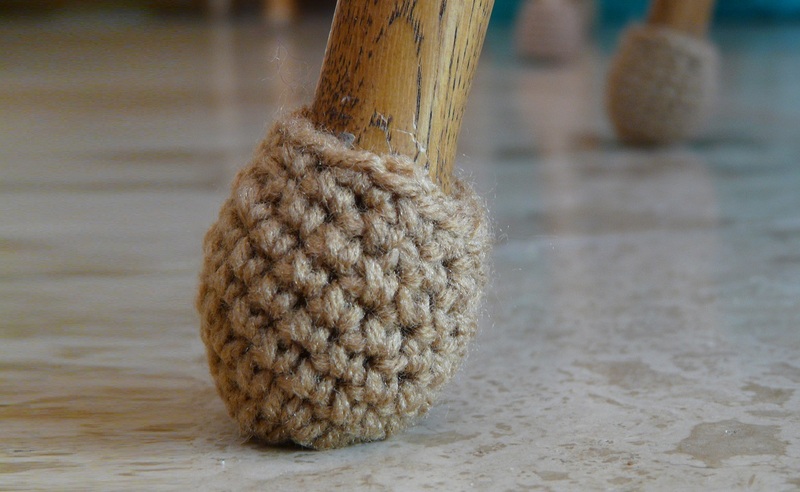 If you’ve got chairs that need some leg socks and want to try your hand at crafting your own, you can find the free Chair Leg Socks crochet pattern at Crochet Bug. You can also see the finished product here.